The two major candidates raised just short of $2B in the recent election. Rather than dissecting the return on investment politically, here’s a quick look at the leadership lessons that played out over the campaign. 1. Get Out Ahead: President Obama defined Mitt Romney while Romney was still finishing the primaries. 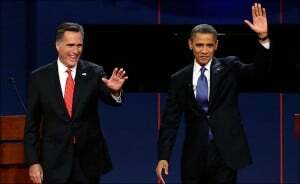 By the time Romney started actively campaigning as the Republican candidate he was on the defensive. Implication: Speed matters – In competition, it’s far better to be the one that sets the agenda and defines the discussion than the one reacting. Plus defining what’s on the table ultimately has more value than who wins the argument. 2. Gather and Embrace the Data: A CEO I know refers to this as “eating reality cookies”. Pundit predictions throughout the campaign, and particularly after the first debate, culminated in several prophecies of a Romney landslide. The now celebrated Nate Silver of the N.Y. Times, a statistics geek in reporter clothing, consistently found little change in the polls. Implication: You can’t get your team to the goal if openly discussing where you are and what you’re facing is off the table. 3. Make Data Easily Actionable by Others: Obama build a social and technical network to win in 2008 which he never fully dismantled. In the 2012 election, he added mobile technology and sophisticated targeting that powered his larger ground organization with lower friction loss. Implication: Technology defines our time and it takes time to design and more time to make it simple to use. This takes long term investment and constant updating but it’s worth it. 4. Execution, Execution, Execution: As good an orator as Obama is, it was the Democrats’ ground game that delivered the goods. In Ohio, the Democrats had 131 field offices vs. 40 for the Republicans. Implication: Great execution follows building, operating and supporting an intelligent and inspired social machine as Amazon, McDonalds, UPS, etc. have done. 5. Win Where You Can Win: Both campaigns focused their candidacy on where the most important battles were. In California, we only saw the candidates when they had their hands out for money. Implication: Segment and target likely customers or organizational allies. Avoid walking uphill. Comprehensive coverage of all segments, issues or challenges can’t compete with prioritizing those that leverage superior profits and results. 6. Authenticity Trumps Posturing: “Who’s Mitt Romney?” resonated with conservative columnists as well as liberals. While appealing to the unique attributes and interests of people is a consideration, today’s communication technologies create a timeless, transparency. Time zones, social and physical boundaries are breeched so quickly and easily that if your core message is constantly changing, so is your trustworthiness. Implication: Be clear inside before leading out: who are you, what do you stand for and where do you draw the line. Then explain your boundaries rather than apologizing or blurring them. 7. Trust People Won’t Hold You to Perfection: This is the corollary to #6. Like George W. Bush, Obama took positions that many disagreed with, but knowing who he was, the voted for him anyway. People don’t expect superheroes. Implication: Having a righteous disagreement enables commitment, hard fighting and contribution. Discuss, decide and commit. By definition, that’s what leadership is all about: enabling others to step up and achieve beyond their own expectations. This was particularly well don.